When I was young, I lived by a small creek in Dawei. 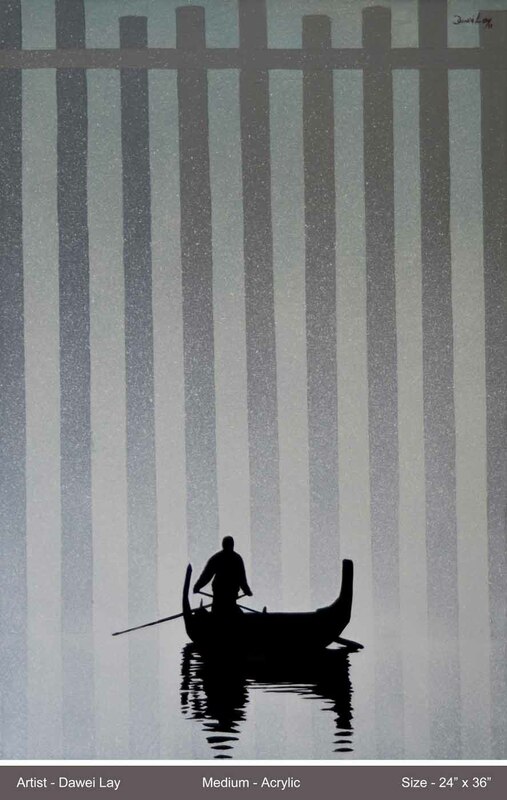 I used to watch small boats paddling across the water. Since those early days, my love for them has grown. Now a days I see boats in the Pegu River near Yuzana City Garden. This is what inspires me to paint. To ease my mind from the stresses of everyday life, I paint small boats in large spaces. Paddling around the world in such boats, one day my destination will be reached. 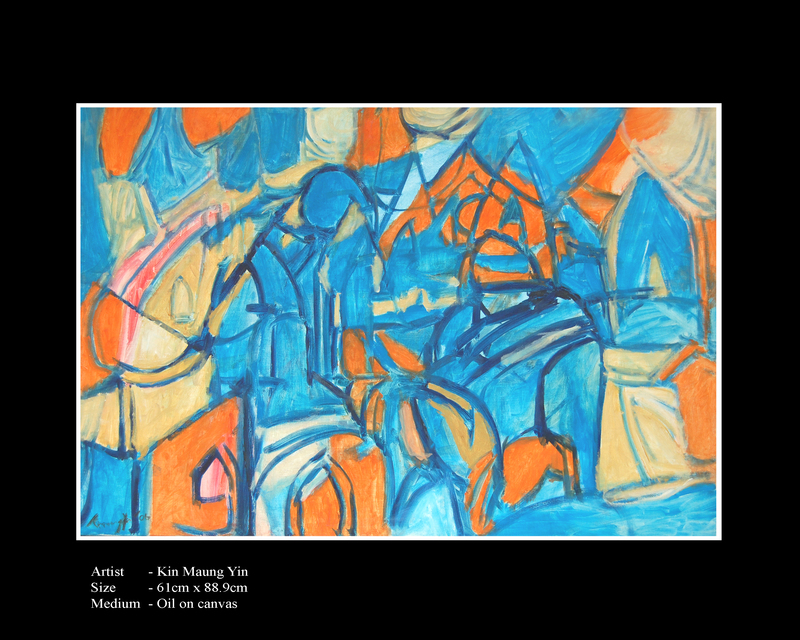 14 July to 20 July 2011 at Pansodan Gallery, Yangon. 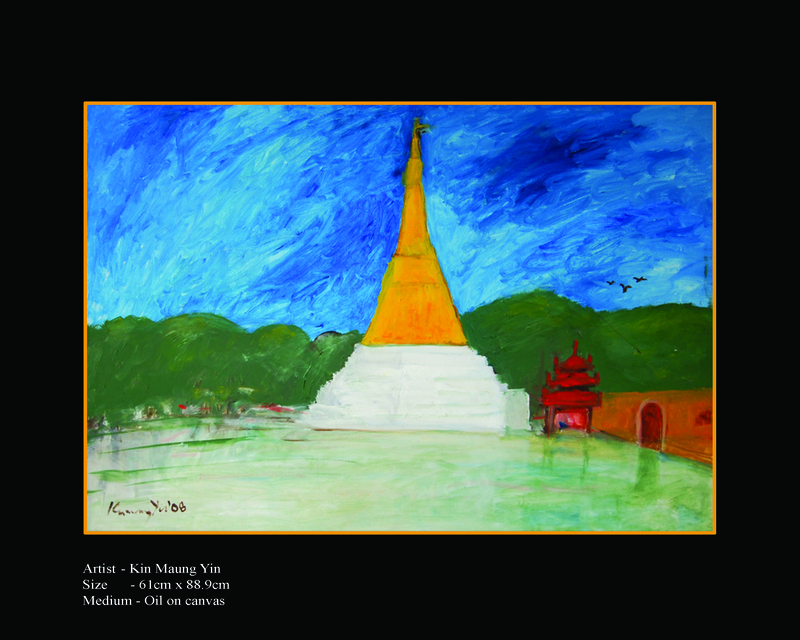 A famous and admired artist in Myanmar will often be known as a ‘master’. The term implies that he or she has achieved much and is revered as a teacher and exemplar of the art. In English at least it also has a hierarchical air about it, a suggestion of status and rigidity, a hint of an old orthodoxy. In the case of Kin Maung Yin nothing could be further from the truth – he is justly famous for his informality and lack of pretension. His free-thinking and generosity have endeared him to generations of students and collectors alike – he remains at heart a bohemian with little time for the trappings of wealth and fame. His art mirrors the man. 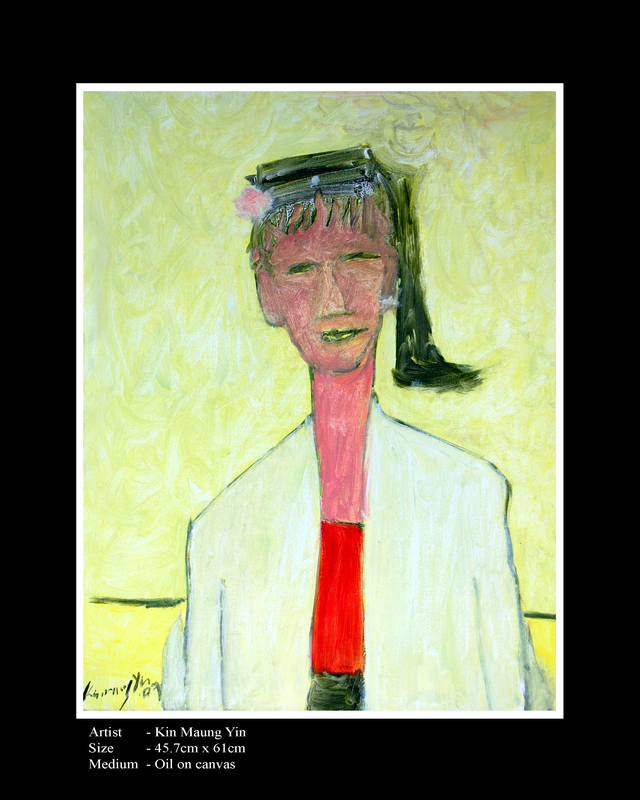 In his abstracts there is a sensual abandon to the pleasure of colour and shape, whilst his landscapes seek the essential form of the world rather than its accumulating details. 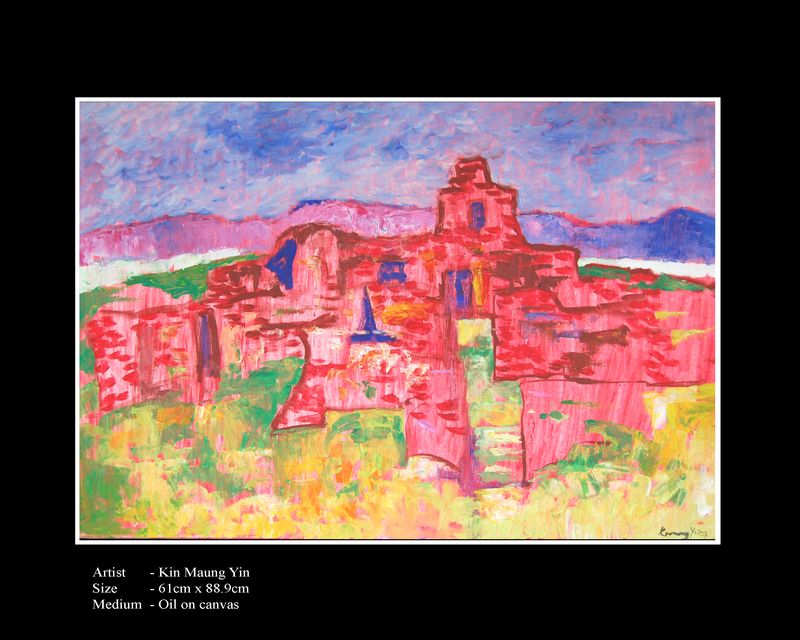 In landscapes as rich and fecund as Myanmar and with a visual heritage rich in inventive and almost baroque detail Kin Maung Yin pares us back to simplicity and essence. The portraits serve not as mere photographic record, but the capturing in paint of the spirit of the sitter. It was the great founding father of 20th century sculpture, Constantin Brancussi who said that ‘Simplicity is at root complexity.’ This might stand as a useful introduction to the art of Kin Maung Yin; his works are as open and inviting as the man himself. A little more about Kin Maung Yin from his 2010 exhibit at Pansodan here, and in a Burmese and English blog post here, and his website here.